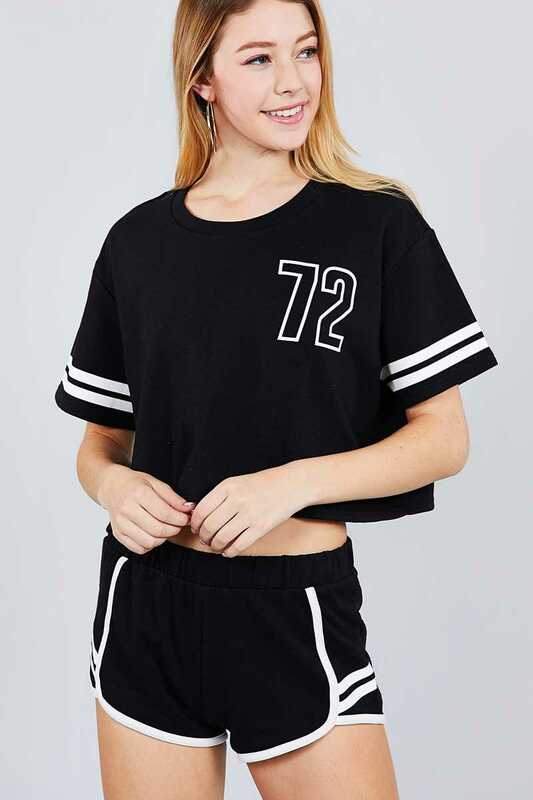 Work wonders into your sporty look with this set. 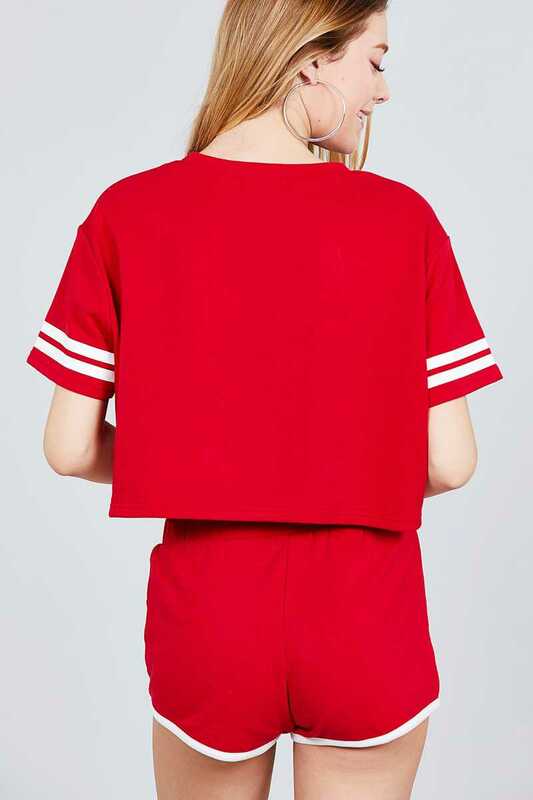 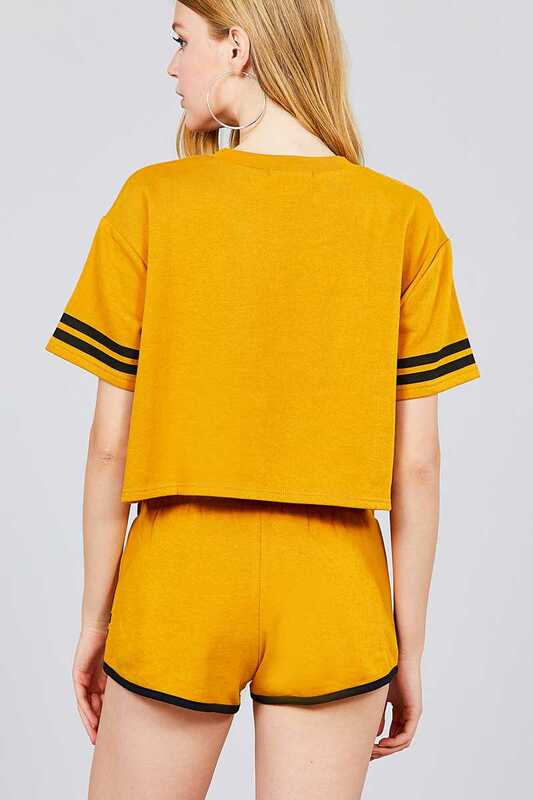 Featuring a figure flattering boxy fit cropped top with contrast varsity striped sleeved and shorts. 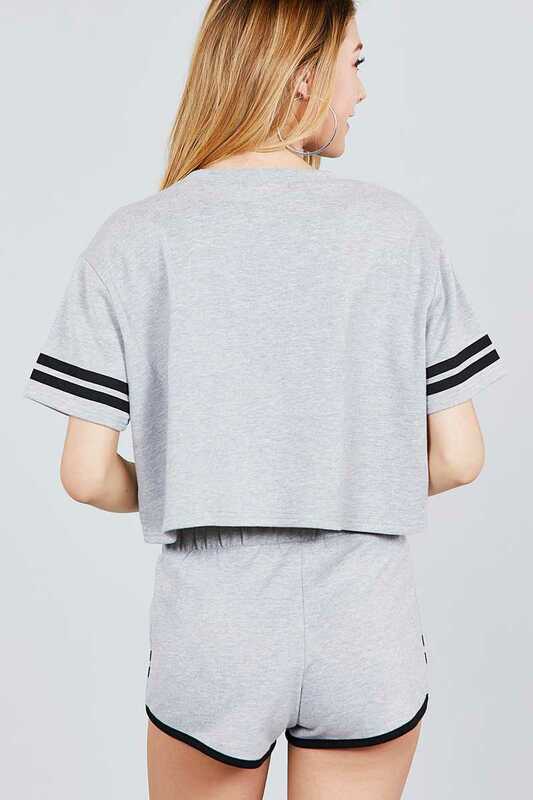 Complete the look with a bum bag and retro shades.